As a statewide local, AFSCME Local 2620 knows it can be tough to reach all its members. Because of the distance and the number of different jobs that members perform, it can be especially difficult for some members to feel like their voices are truly being heard, especially at the negotiating table. That’s why Local 2620 fanned out throughout Northern California this fall for a member organizing drive to make sure our sisters and brothers understood the importance of being involved in the union. Over the course of two weeks, leaders visited worksites from Stockton to Sacramento to talk to members and encourage them to recommit to our union. Leaders also took the opportunity to get feedback for the local’s contract negotiations in 2020. 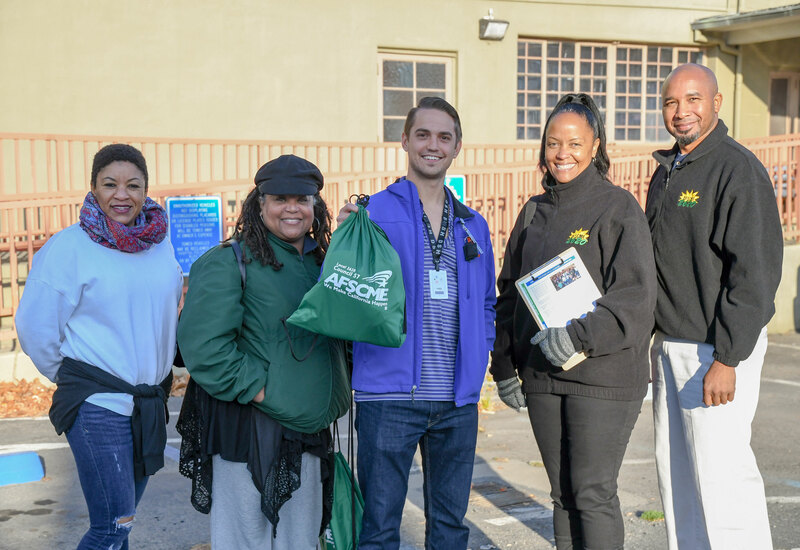 “Instead of waiting until our contract is over, we wanted to engage our members on the issues that matter the most to them and build a solid campaign early so that we can win for all our members at the negotiating table,” Local 2620 President Abdul Johnson said. Overall, Local 2620 got more than 200 commitments to the union, including several dozen from new members. Ryan Enderle, a Pharmacist at Napa State Hospital, said he decided to step up and help with the organizing drive because he saw the effort as an opportunity for rank-and-file members to represent themselves at the negotiating table and at their workplaces. Local 2620 will now take the feedback gathered from the organizing drive to plan its next contract campaign. For its last contract, leaders won an 11.5% general salary increase over four years as well as a number of other benefits and salary adjustments.